Tor Classics are affordably-priced editions designed to attract the young reader. Original dynamic cover art enthusiastically represents the excitement of each story. Appropriate "reader friendly" type sizes have been chosen for each title offering clear, accurate, and readable text. All editions are complete and unabridged, and feature Introductions and Afterwords. This edition of "Wuthering Heights" includes a Biographical Note and Foreward by Teresa Nielsen Hayden. The dark, wild gypsy orphan Heathcliff loved only one person on earth, beautiful, willful Cathy Earnshaw. But Cathy's brother Hindley--the cruel, drunken master of Wuthering Heights--hated and abused the orphan; their rich neighbors at Thrushcross Grange, Edgar Linton and Isabella Linton, reviled the boy. They all conspired to force Heathcliff and Cathy apart, first as playmates, then as lovers, and at last to drive Heathcliff away. Years passed. Heathcliff returned a rich man--and found Cathy had married Edgar. Like a sullen demon, the gypsy vowed to ruin Wuthering Heights and the Grange, to plague his tormentors, to relentlessly hound and ruin the Earnshaws, the Lintons, even their children--until he won back the woman he loved. 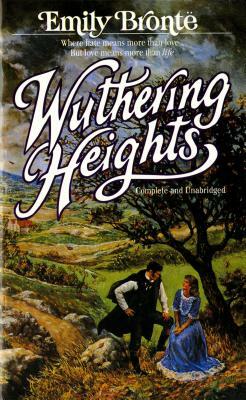 Emily Bronte was the author of "Wuthering Heights."